Is Microsoft Killing Off the Zune Hardware? Conflicting information appeared today in regards to the Zune hardware from Microsoft. Some reports indicate that the line is being brought to an end, but Microsoft themselves are commenting while not commenting on it. According to a report from TheNextWeb, which was in turn based on Twitter messages from Dina Bass of Bloomberg, Microsoft is killing off the Zune hardware. The supposed reasoning is that there is no need to split development resources between the software – which is doing well on the Xbox 360, phones and PCs – and the hardware that has just never really found an audience. We have nothing to announce about another Zune device – but most recently have introduced Zune HD to Canada via Zune Originals store and remain committed to supporting our devices in North America. 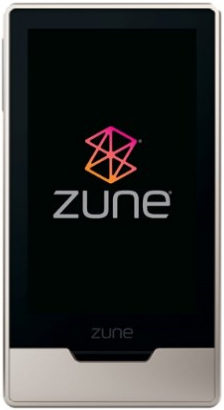 We are thrilled by the consumer excitement for Zune across many new platforms, including Windows Phone 7 and Xbox 360. Our long-term strategy focuses on the strength of the entire Zune ecosystem across Microsoft platforms. Well, notice it isn’t really a denial. “Supporting our devices” doesn’t say anything more than the company will support what’s out there. They “are thrilled by the consumer excitement for Zune across many new platforms”, which again isn’t saying anything about hardware. And finally they say their focus is “on the strength of the entire Zune ecosystem across Microsoft platforms.” Yep, you guessed it, still no mention of hardware. Who know what’s going on for certain, but considering no new Zune has been introduced in a year and a half, things don’t look that great either. There is every chance it really is dead and they just don’t want to announce it yet, time will tell. What do you think? If the Zune isn’t dead, should it be?